This is the third class of this Geometric Surface Pattern Design Series. In this class we explore some of the terminology used to create decorative patterns. It’s not an exhaustive list of terms. It is just enough to get you started. In particular, we learn to differentiate between the ‘unit of design’ and the ‘unit of repetition’. 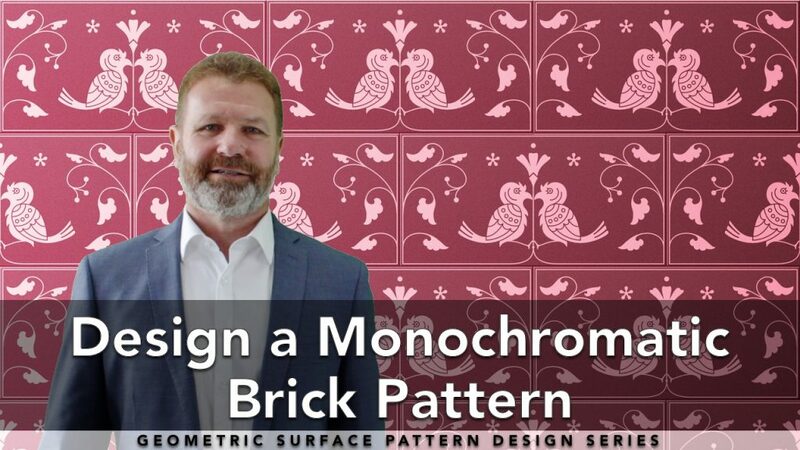 For the design exercise, I’ll show you how to create a stylised Victorian monochromatic brick pattern. 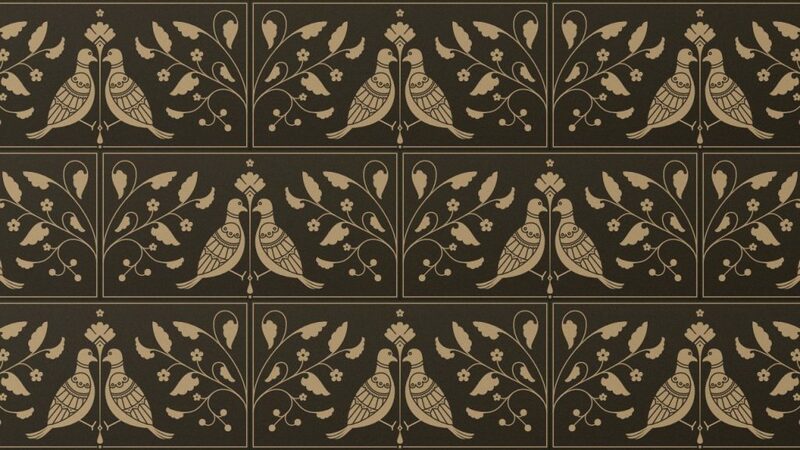 Multiple design elements including scalloped leaves, birds and flowers make up the unit of design. The unit of repetition for this pattern is the double-square. A Stretcher Bond / Running Bond brick pattern is used to lay out this pattern. The unit of design sits completely inside the unit of repetition. I’m using Affinity Designer to vectorise the design, and ‘Symbols’ to create instances. 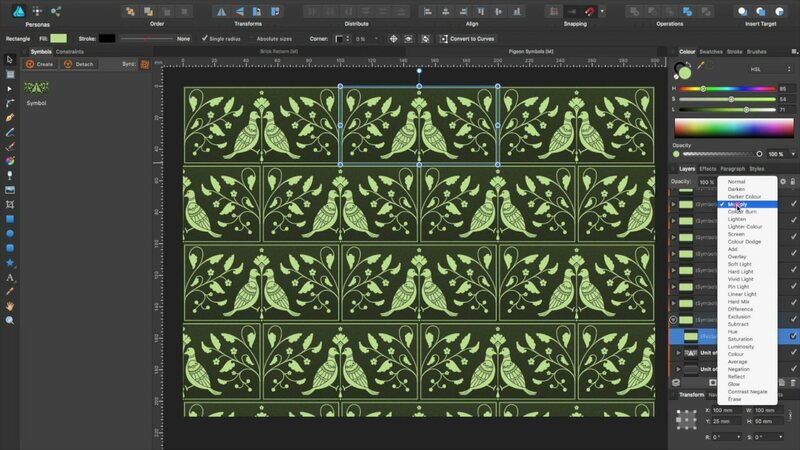 With Affinity Designer’s symbol functionality, you can see every instance of a design element change in real time. And all this happens while making a change to a single instance. Use this link to sign up to Skillshare Premium, and you will gain free access to all the lessons in this class, and every class on Skillshare for a limited period of time. What have you got to lose?